There are a few ways that payment can be made, however over the years with an array of fraud on our door steps, some companies have tailored what will be accepted at closing. Even more so that the most current Florida Realtors/Florida Bar-1 2010 contract has some new clauses that specify what can happen if certain payment methods are used. 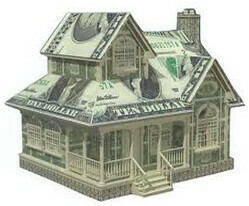 Typically an escrow deposit (or earnest money) is made and will be accepted in the form of a personal check. This is acceptable since there is usually plenty of time from depositing of check to closing date so that the check has time to clear the bank. The normal 2 methods of payment at a title company are a wire transfer and a cashier’s check or sometimes called a bank check. These are funds that are generally considered immediate. When a closing happens, the seller’s proceeds and the payments to be made have to be able to be disbursed on available and collected funds. NOTE: For the definition of “COLLECTION” or “COLLECTED” see STANDARD S.
COLLECTION or COLLECTED: “COLLECTION” or “COLLECTED” means any checks tendered or received, including Deposits, have become actually and finally collected and deposited in the account of Escrow Agent or Closing Agent. Closing and disbursement of funds and delivery of Closing documents may be delayed by Closing Agent until such amounts have been COLLECTED in Closing Agent’s accounts. More importantly, know and realize that there are laws that pertain to “good funds”, we just don’t make this up. Next weeks are the HARD FAST RULES…..you’ll want to take a peek!! Posted on May 31, 2013, in Title and tagged Bonita Springs Title Company, Cape Coral Title Company, Closing, Closing Costs, Estero Title Company, Fort Myers, Fort Myers Title Company, Jennifer Ferri, Property Guiding, SWFL Real Estate, Title Insurance, Title Junction, Title Work. Bookmark the permalink. Leave a comment.